Ron Ripp is a one-of-kind Psychic Medium, Reiki Master/Teacher, Spiritual Tutor and champion of positive growth, offering in-person services in the Denver, Colorado, area and to clients around the world via phone, Skype and FaceTime. Ron is active in the Colorado metaphysical community and has been a student of the highly acclaimed intuitive Deb Sheppard, completing all Five Levels of Deb’s Higher Learning Mentoring Programs. Ron has recently returned from attending a seven-day course (Celebrate the Magic - 2013) with 80 mediums from countries across the world at The Arthur Findlay College in Stansted, Essex, England. He will be returning to this esteemed college to attend another course in 2014. Ron has studied under other spiritual teachers and tutors that include world-renowned Sonia Choquette, Denver's Peter J. Hughes, Jan Katayama, Angela Pendegraft and Kim Moore. Ron is an active member of the “Six Sensory Colorado” group and serves as a member of the Board of Directors. Even as a child growing up in Algiers Point, West Bank of New Orleans, Ron understood his gift for connecting with loved ones who had left this world. He felt guided and protected by angels and spirit guides as he made his way through childhood, college, marriage, raising a family and serving his country. But it wasn't until later in life, at age 53, that he began to feel a strong pull toward refining his skills and sharing his gifts with others. He also began to follow his heart and intuition, leaving behind a lucrative, fast-paced career in September 2009 to focus on helping others. Earlier, after more than 20 years of a decorated military career as a Senior Master Sergeant in the U.S. Air Force and holding key enlisted leadership positions, Ron had transitioned to private life and became an award-winning manager for Lockheed Martin Corporation. As he counseled employees and colleagues in his professional life, Ron began to understand that he had a calling to make a difference in a different way. He soon left Lockheed and began using all his life experiences, studies in psychology, spiritual mentoring, Reiki, energy work and intuitive advising to help others. Ron conducts his readings through his various psychic abilities, such as clairvoyance (seeing pictures and images), clairaudience (psychic hearing) and clairsentience (picking up on feelings). He receives information from the Universal Consciousness, Spirit Guides and Angels. His ability, sensitivity and spiritual awareness allow him to read over the phone (or via Skype or FaceTime) with the same quality as in-person. As a spiritual tutor, Ron can assist you with an individual plan to develop your spiritual path and intuition. Each plan includes in-person and phone sessions along with email support. 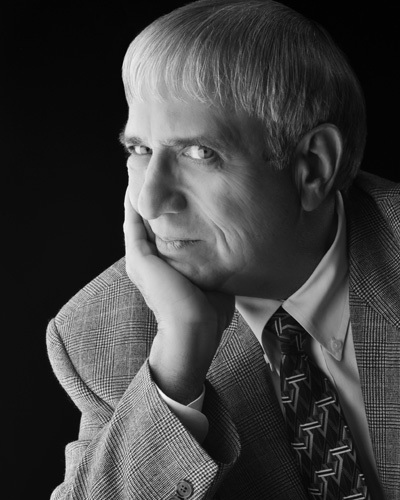 In addition to his psychic medium/spiritual work, Ron is a trained social services worker. He is also certified in the Usui Reiki System of Natural Healing as a Reiki Master/Teacher – Level III, and is a member of the International Association of Reiki Professionals. He is a Reiki provider at several local healthcare and treatment centers, including the Aurora Rocky Mountain Cancer Center, with LifeSpark Cancer Resources participants. Ron is also an ordained and licensed Minister of the Universal Life Church Monastery and has an honorary Doctor of Metaphysics Degree. Ron is currently working on a cookbook with stories and recipes to nurture every reader's inner spirit. Ron is fully compliant with the Colorado Natural Health Consumer Protection Act. Schedule an appointment with Ron to talk about your personal and spiritual growth needs today. © 2013 Ron Ripp. All Rights Reserved.